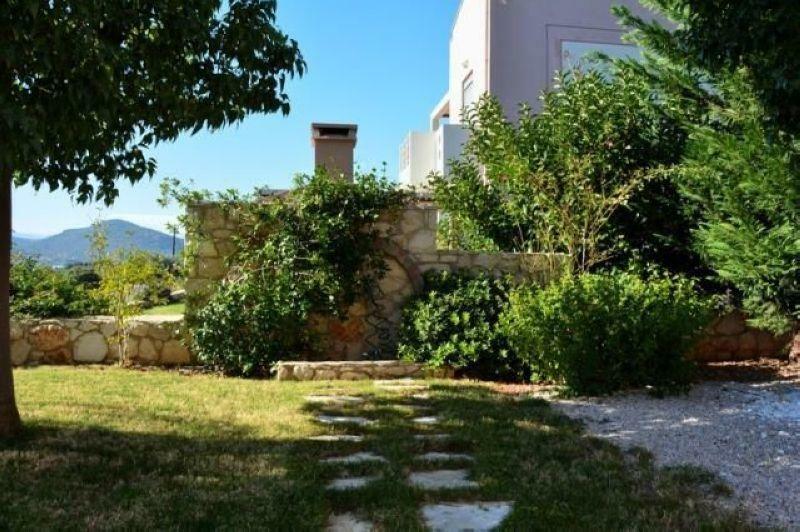 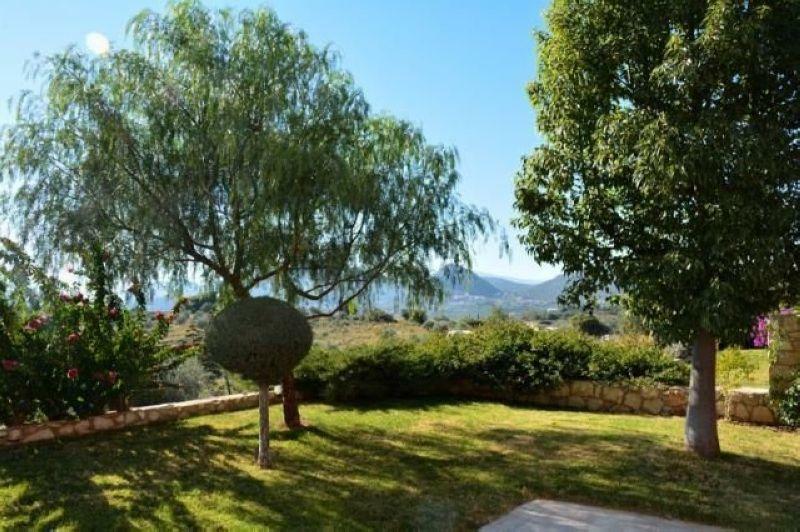 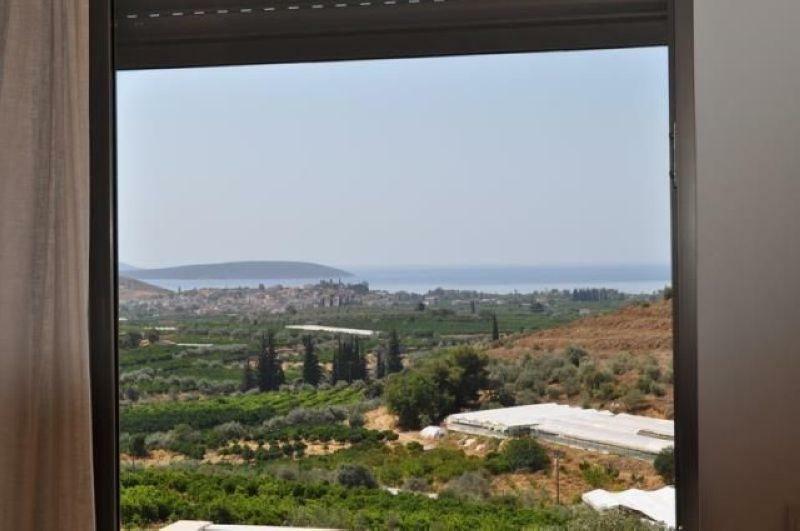 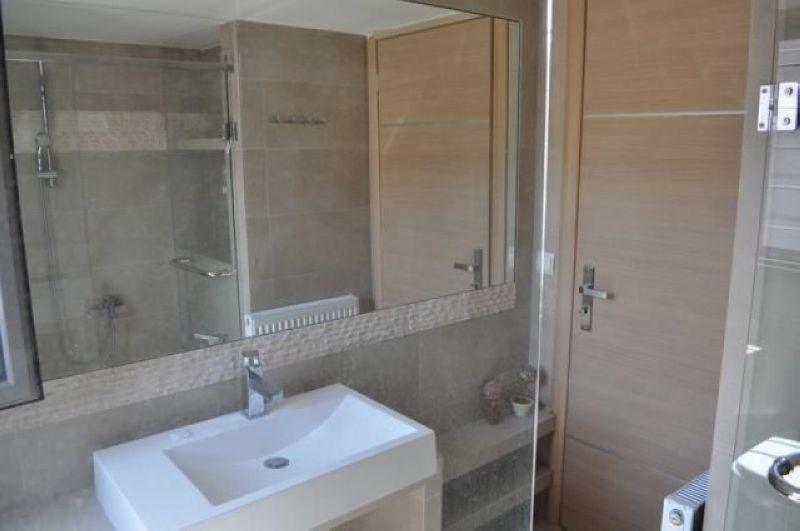 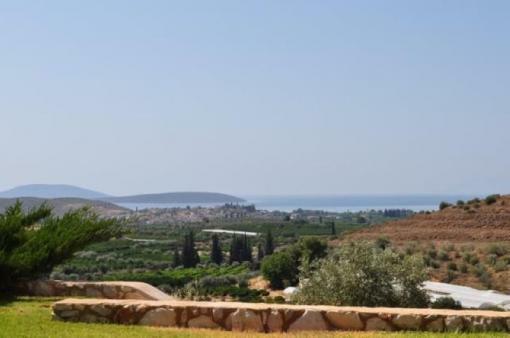 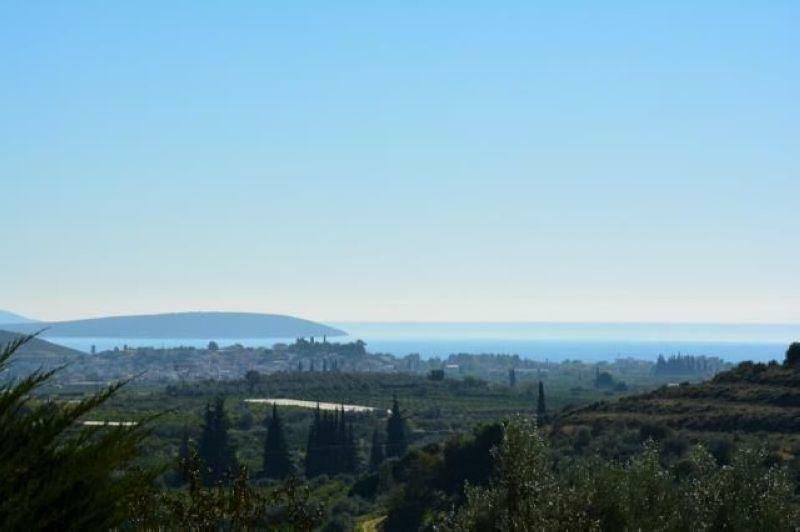 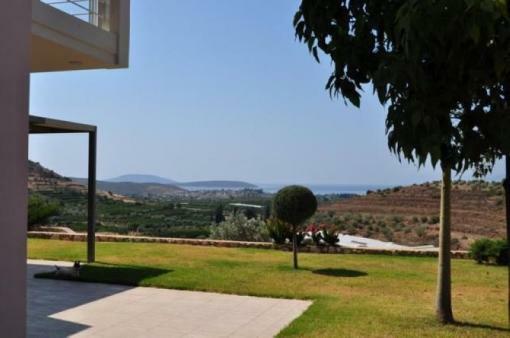 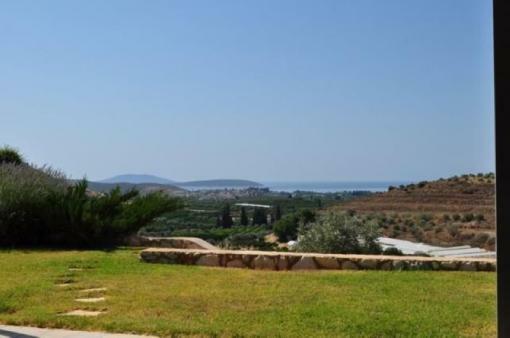 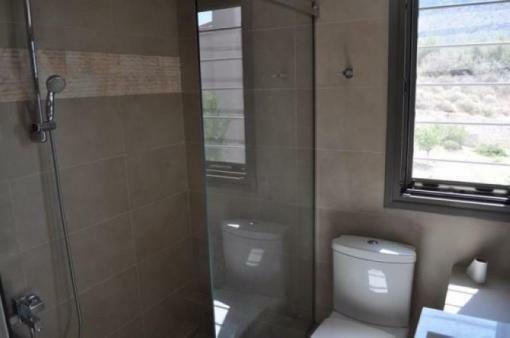 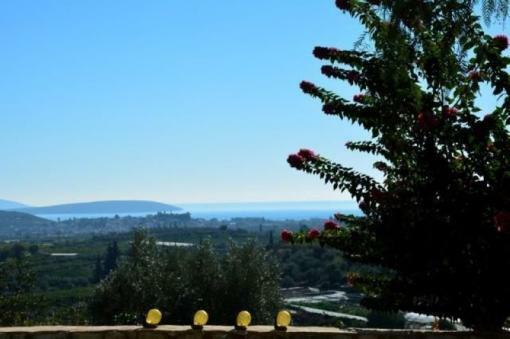 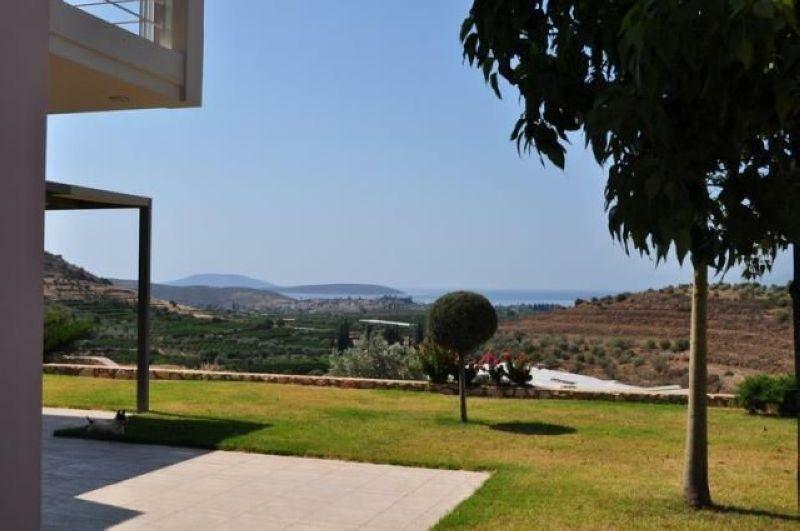 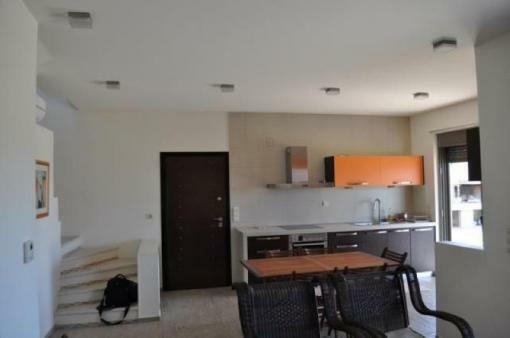 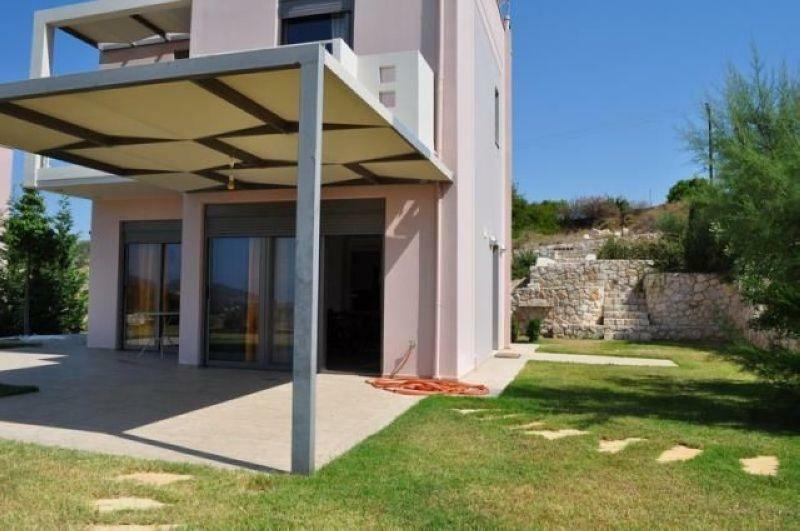 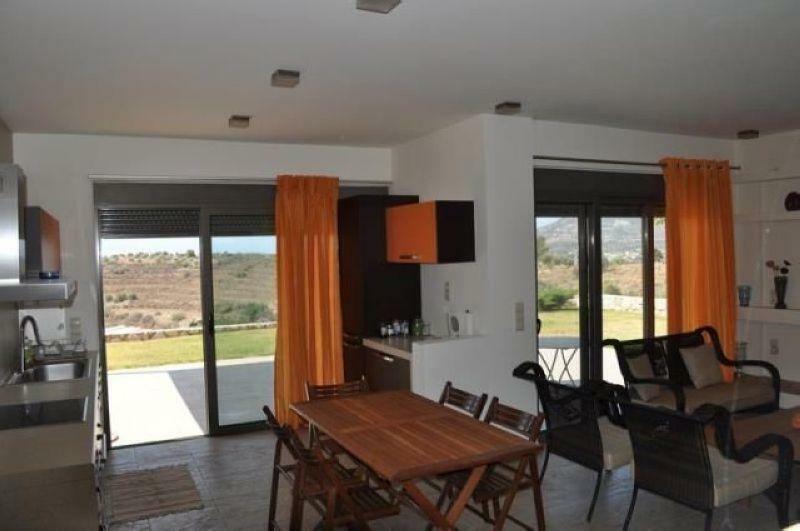 In a very quiet area with beautiful and unobstructed sea and mountain view for sale independent, furnished maisonette 90 sqm with beautifully landscaped, private 900 sqm plot in Lefkakia. 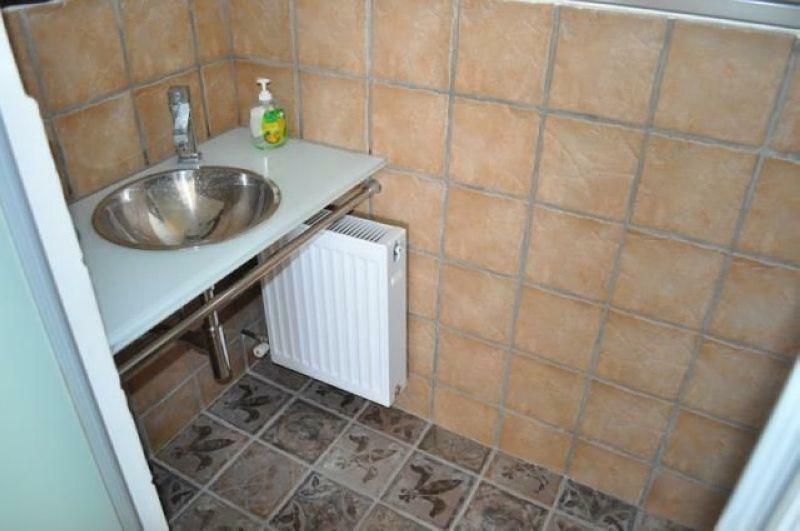 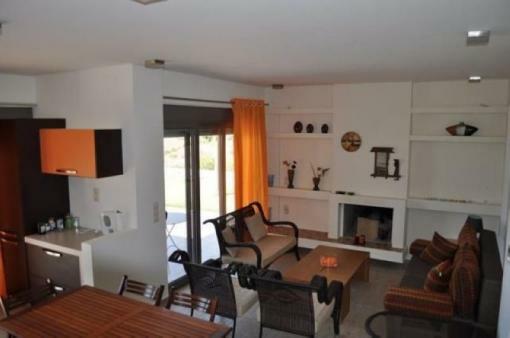 The first level of the house consists of unique aesthetics seating area with fireplace along with a kitchen and a wc with window. 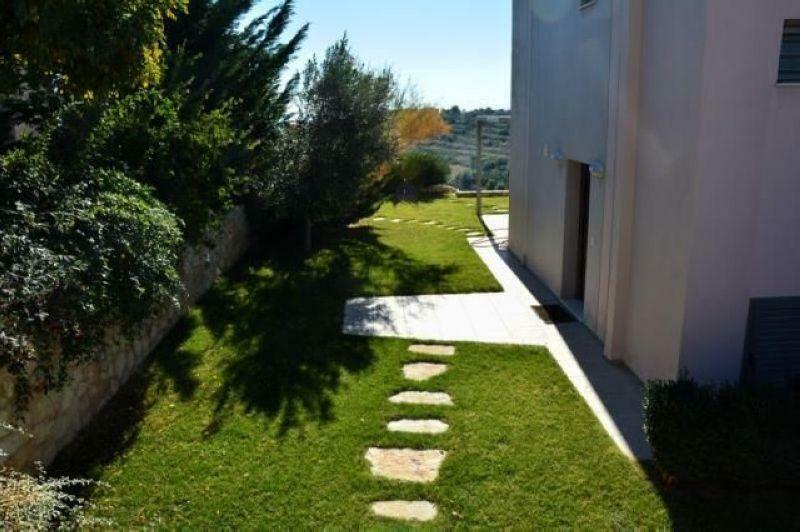 From this level output is offered in a beautifully landscaped courtyard. 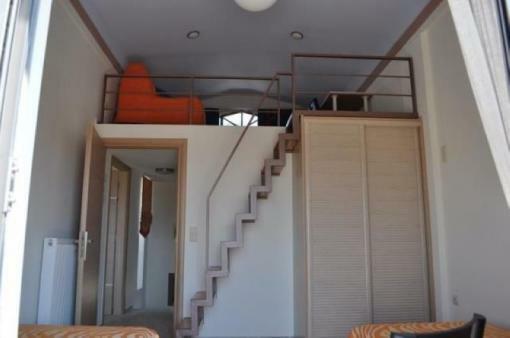 On the 2nd floor are two bright bedrooms of which one has a small loft, a modern bathroom with window and three balconies with nice views to the sea and mountain sickle. The yard of the house is landscaped with stone fences and has a lawn and ornamental trees in much of the plot. 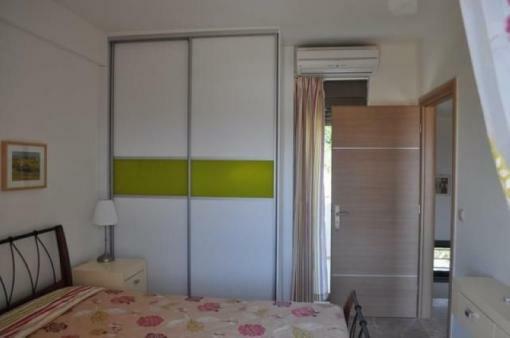 The house is delivered fully furnished and has security doors, fireplace in living room, air conditioning, aluminum windows with double glazing and mosquito heating with own oil burner and an external storage 5 sqm. 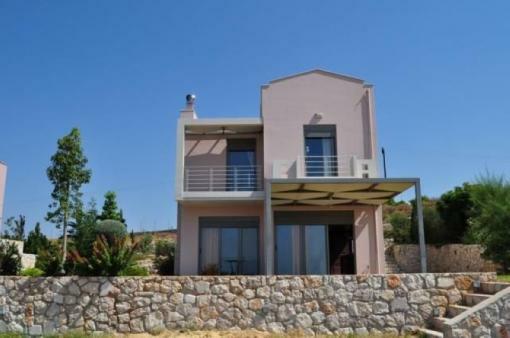 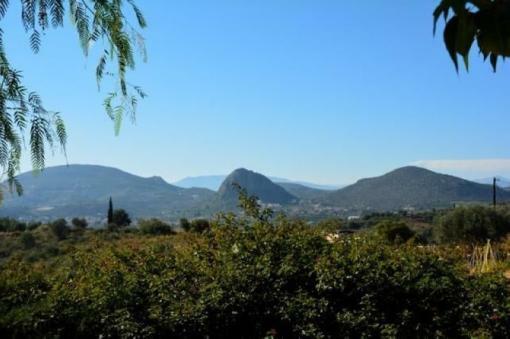 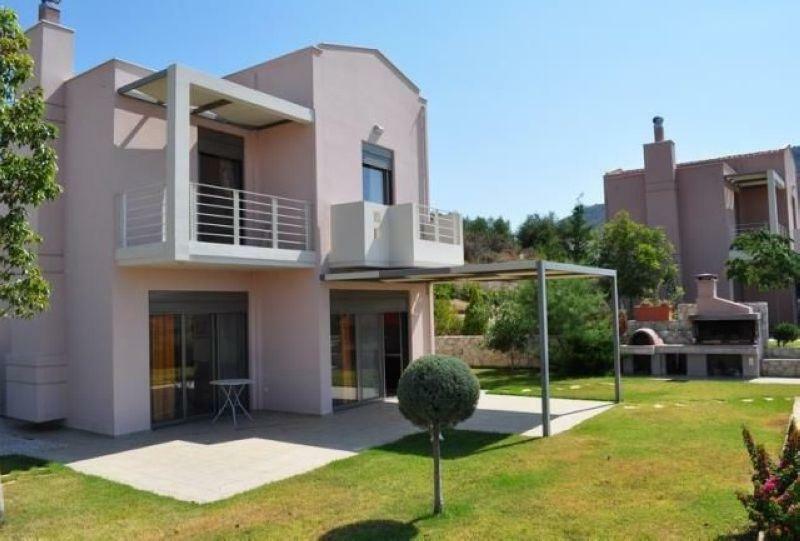 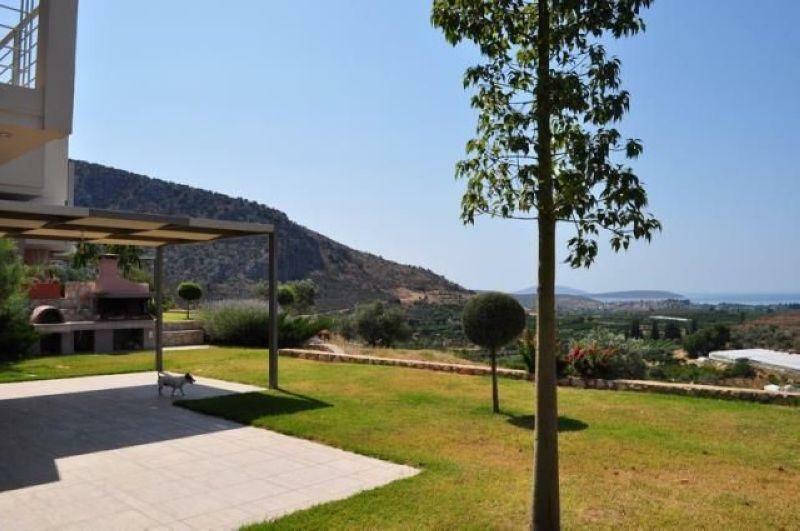 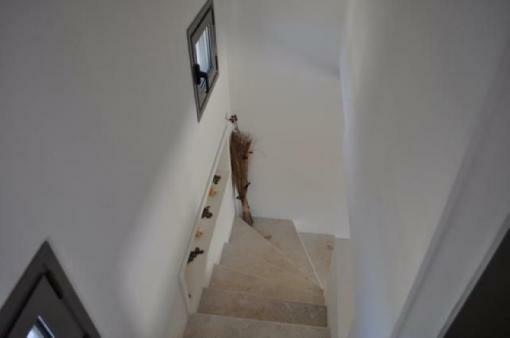 It has east orientation and is 8 km from the town of Nafplio and 4.5 km from the beaches.